Just because the new Metallica record 'Death Magnetic' isn't bad, does not mean that it is good. It is a common misconception that if something isn't bad, then it must be good. In reality, there is a very large gray area of mediocrity between those two , and this record swims in that place. Sometimes it swims twords the top, sometimes it sinks tword the bottom, but it never quite gets to either place. Admittedly, it is refreshing to hear a metal band playing riffs, and there is some good riffage sprinkled into this record. Too many metal bands now days are overly concerned with being extreme for the sake of being extreme. Modern metal is almost a competition where bands try to out do each other in being the sickest, or the fastest, or the most technical. 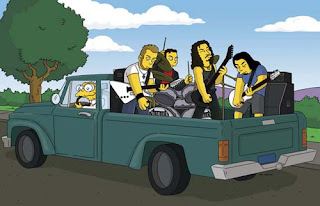 Metallica is not ever going to be any of those things (they did a Bob Seger cover for christ sakes), so they play classic riffs by default. We all agree that 'St. Anger' was terrible, and that the 'Some kind of monster' movie was as depressing as it was entertaining. 'Death Magnetic' is certainly a step up from that audio stain. This record is listenable, but should that be the benchmark that bands strive for? Listenable? That being said, there are very few bands that release listenable records in their 25th year. That is a respectable feat. Lars' drumming drags on this record and may be the main reason that it has a hard time generating enthusiasm. James is still a ripping guitarist, but his vocals are played out, and his lyrics still dip into that corny realm that 'Enter Sandman' resided in. In his defense, he is a sober 45 year old millionare, not exactly the ideal candidate for edgy lyrical content. There is some very good material on this record, it's classic metal that Metallica themselves helped define. 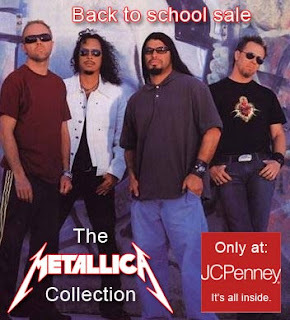 It just doesn't ever rise above that bar that Metallica themselves helped to set so high. 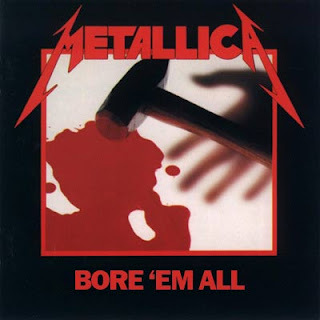 This record will please current fans of Metallica and will probably gain them some new fans, but it won't turn around those who gave up on them previously. It is simply a case of too little, too late. I recently went to a place in northern New Jersey called Space Farms. It is a strange combination of zoo and museum (zooseum anyone?). Well for many years now they have been home to the largest brown bear in captivity, Goliath. The only catch is, he died in 1991. 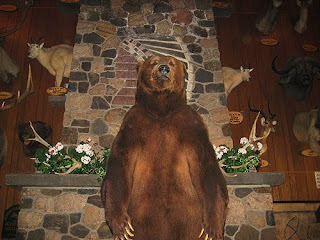 The mighty beast still resides at Space Farms however, taxidermied in their lobby. Metallica is much like Goliath, you can still visit him, and he is still interesting for a moment, but it's just not the same as when he was alive. I think this rips! Even though King Diamond looks like a cross between a hobo clown and Bam Margera, and his air guitaring is chillingly embarrassing. I wish I could take credit for this awesome piece but alas it is my pal TZA. Tza - Kat is in the house as I type this. Lot's of good chats about you and the good ole days. J - hopefully you are working today and I will see you later!